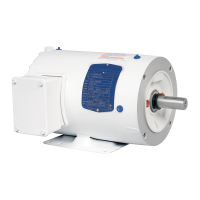 We will partner with you to select the right motors for your applications. We carry a complete range from General purpose motors to Metric motors. Haleson personnel have experience in providing motors for: Pumps, Blowers, Vacuum Pumps, Fans, Mixers, Blenders and Agitators. Reputable makes such as Baldor, Brook Crompton, Coel, GE, Lafert, Leeson, Marathon, Nord, SEW Eurodrive, Westinghouse are available.